The Philippines is an ideal location for doing business because of its low capital requirements, pro-business government regulations, high mobile penetration, low labor costs, and huge consumer base. For the last few years, there has been a favorable increase in the number of local and foreign investors setting up FinTech startup companies in the country’s prime business districts. 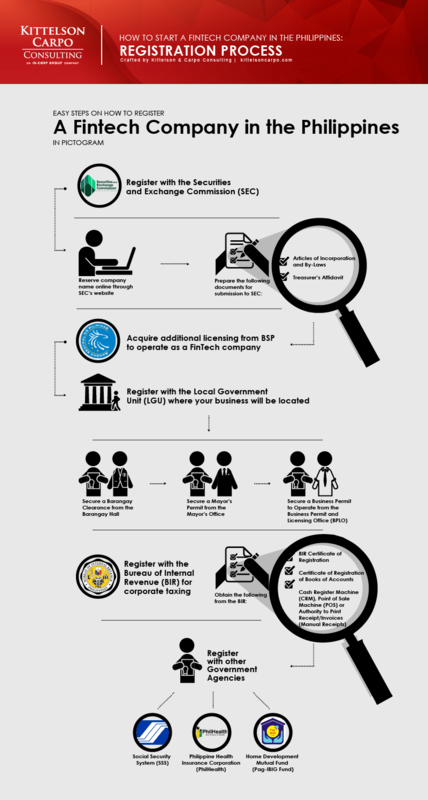 If you are an investor looking to set up a FinTech company in the Philippines, you are required to register your business with the Securities and Exchange Commission (SEC), Bureau of Internal Revenue (BIR), and a few other government agencies before you can start business operations. Additionally, you will be required to obtain additional licensing from the Bangko Sentral ng Pilipinas to operate as a FinTech company. If you are interested in availing tax incentives from the government, we will assess your business entry plans and provide recommendations on how to be eligible for registering with the agencies that administer such incentives, like the Philippine Economic Zone Authority (PEZA), Board of Investments (BOI), and Cagayan Economic Zone Authority (CEZA). All corporations actively operating in the Philippines are regulated by the SEC, but the Bangko Sentral ng Pilipinas (BSP) regulates FinTech companies engaged in remittance, money changing, foreign exchange dealing, and virtual currency exchanges. The BSP created two special regulations, the BSP Circular No. 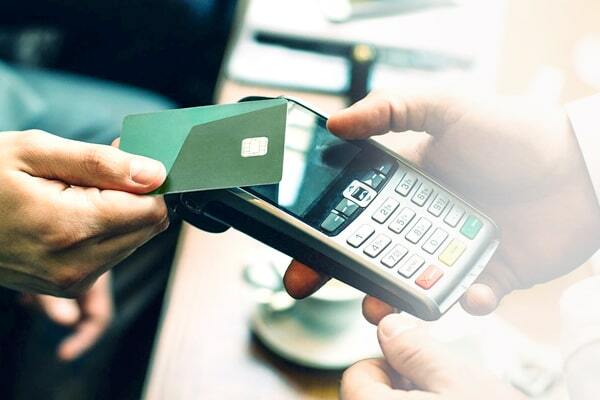 942 and 944, as well as a specialized government unit, the Financial Technology Sub-Sector (FTSS), to supervise FinTech companies in the country. The BSP Circular No. 942 monitors FinTech companies engaged in remittance, money changing or foreign exchange dealing. BSP Circular No. 944, on the other hand, governs the operations and reporting obligations of FinTech companies that offer virtual currency exchanges or engage in activities that provide facility for the conversion or exchanges of virtual currencies. FinTech companies that provide alternative financing, however, may be regulated under the Lending Company Regulation Act. BSP also requires additional licensing to allow FinTech companies to operate as a financial institution, non-financial institution or a lending company. There are several FinTech companies in the Philippines that operate a combination of digital services, (i.e., mobile wallets and digital remittance, cryptocurrency and investments, or lending, micro-savings, and insurance) to tap into digital financial services that are currently not readily accessible or available in the country. You can operate your FinTech company as a financial institution, but if you want to take advantage of the prevalence of mobile phones in the Philippines, you can register it as a telecommunications corporation and develop a mobile application. We will guide you throughout the business registration process and assist you in determining your eligibility for tax incentives in the Philippines.